Research shows that habits and routines help us to clear our minds, while creative tasks that call for focus force us to stay in the present and not overthink – which often triggers anxiety. A 2016 study on art therapy showed that 45 minutes of creative activity reduced cortisol (the stress hormone) by 75% in participants, so if you’re experiencing stress or feel more anxious than normal, your beauty routine might be a place to find relief. After all, it only makes sense that makeup works in the same way as art therapy – by using creativity as a form of self-care. 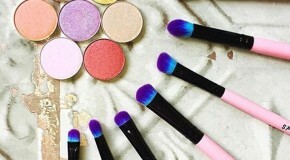 Something as seemingly simple as stting down to apply your glam or try a new blending technique gives you focus and control, stimulates your brain, and encourages mindfulness, which channels your emotions in a positive way. Just as everyone’s makeup routine is totally different, everyone’s anxiety and approach to dealing with anxiety is completely different too. 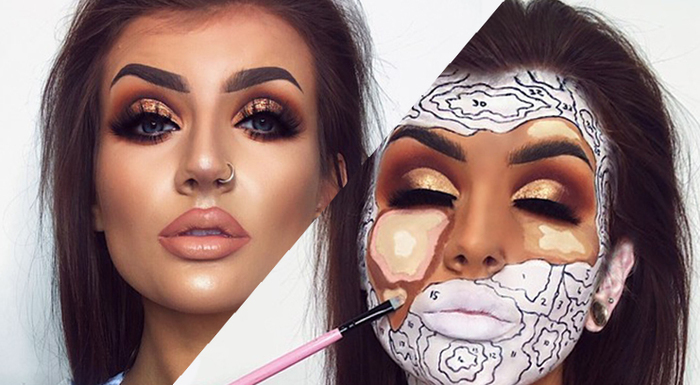 We spoke to Insta-famous MUA Jodie Hulme about how her makeup routine helps her to reduce her anxiety. How do you experience anxiety? It could be about anything really! I feel like for me my anxiety comes from over thinking and worrying about things, be it minor or major. I mainly get anxious when I’m in social situations (before, during, and after!). How does makeup help you when you’re feeling anxious? I think sitting down and concentrating on creating a look can give you something to focus on rather than being left with thoughts that are causing anxiety. I think the motions of doing makeup are quite soothing too in a way, and can help you to relax. Are there any specific situations of anxiety that makeup has helped you to overcome? Sitting down and doing a look is quite calming in general, and the feeling of accomplishment after the look is completed is something you can focus on rather than focusing on the causes of your anxiety. I find that when I’m over thinking something, doing makeup can help me be more calm and rational about things. Which part of the makeup process do you enjoy the most? I go through phases of which parts I like the most, currently I’m loving doing eye makeup, but sometimes I’ll enjoy the really fine details the most – I think it all depends on my concentration levels and how dedicated I’m feeling to a look. Do you find that make helps you to think over your anxieties or block them out? A little bit of both depending on the situation- sometimes I can sit and think about things and come up with solutions or ways to deal with it, and sometimes concentrating on the makeup helps distract from over-thinking.